MainAll NewsInside IsraelWho is to Blame for Temple Mount Rioting? Firestorm in Knesset over violence in Jerusalem culminates with leftists blaming Israel for Palestinian violence; Minister points to Abbas. Clashes on the Temple Mount also brought conflict in the political system on Monday, after a heated debate erupted between Internal Security Minister Gilad Erdan (Likud) and members of the Zionist Union (Labor) over security issues in Jerusalem. Erdan, who stood at the podium, was interrupted by MK Yosel Hasson, who claimed that violent Muslim rioting on the Mount was due to Israel's cessation of peace talks with the Palestinian Authority (PA). "Your word are helping Israel's worst enemies," Erdan responded, "by passing along criticism of Israel and its government." "You're not doing it on purpose, but because of mistakes and misunderstanding, and it is very sad and unfortunate," he added. Leftist MKs were outraged at the comments, claiming he was justifying brute force against Muslim rioters. During his speech, Erdan noted that policies he put in place since assuming the post have led to a greater crackdown on rock-throwers and other terrorists, specifically in the Jerusalem area. For example, he said, some 66 rock-throwers were arrested last week in Jerusalem alone. 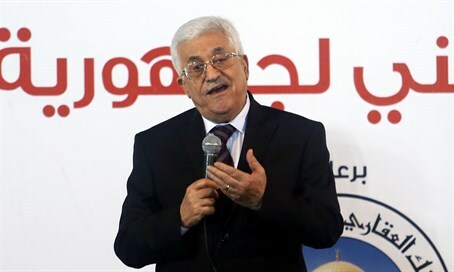 He also specifically blamed PA chairman Mahmoud Abbas for the upswing in terror, as Abbas has actively encouraged Palestinian intolerance for Jews visiting the Temple Mount - Judaism's holiest site - over the past month. "The violence we see in Jerusalem and the Temple Mount stems from the experience of Abbas in bringing international attention to the Palestinian cause, and using false incitement - perhaps in honor of his speech to the UN," Erdan stated. He then turned to the Palestinian population itself. "They wave ISIS flags on the Mount," he noted. "I ask the Palestinians: whom do you support? An organization in the Middle East which blows up mosques? An organization which commits atrocities against Muslims?" "Once again Palestinian rioters are attempting to violate the freedom of visitors on the Mount, as stipulated in the status quo." Despite being the holiest site in Judaism, the Temple Mount has been left in the de facto control of the Jordanian Waqf, which has banned Jewish prayer at the site in spite of Israeli law stipulating freedom of worship for all. Violence has been going on at the Temple Mount complex since before Rosh Hashanah last week, when masked Muslim rioters hurled rocks and fireworks at police on the Temple Mount, as well as firebombs near two entrances to the site. The clashes continued after the holiday as well. On Friday, masked Muslim youths gathered around the mosque and threw rocks and other projectiles at police who had entered the compound in large numbers and responded with stun grenades. Thousands of police officers have been deployed to secure the site, and the Old City of Jerusalem, following the clashes. Abbas has responded by calling for violence at the Temple Mount against Jews, saying, "The Al-Aqsa (Mosque on the Mount - ed.) is ours...and they (Jews) have no right to defile it with their filthy feet."